Here is a list of famous people from Macedonia. 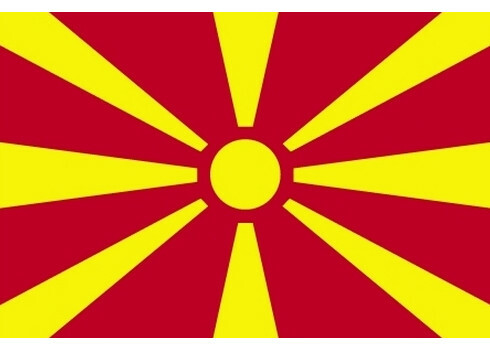 Curious if anybody from Macedonia made it our most famous people in the world list? Read the aformentioned article in order to find out. The Blessed Teresa of Calcutta, M.C., commonly known as Mother Teresa, was an Albanian-born, Indian Roman Catholic Religious Sister. Mother Teresa founded the Missionaries of Charity, a Roman Catholic religious congregation, which in 2012 consisted of over 4,500 sisters and is active in 133 countries. They run hospices and homes for people with HIV/AIDS, leprosy and tuberculosis; soup kitchens; children's and family counseling programmes; orphanages; and schools. Members of the order must adhere to the vows of chastity, poverty and obedience, and the fourth vow, to give "Wholehearted and Free service to the poorest of the poor". Mother Teresa was the recipient of numerous honours including the 1979 Nobel Peace Prize. In late 2003, she was beatified, the third step toward possible sainthood, giving her the title "Blessed Teresa of Calcutta". A second miracle credited to her intercession is required before she can be recognised as a saint by the Catholic Church. Admired and respected by many, she has also been accused of failing to provide medical care or painkillers, misusing charitable money, and maintaining positive relationships with dictators. Ptolemy I Soter I, also known as Ptolemy Lagides, c. 367 BC – c. 283 BC, was a Macedonian general under Alexander the Great, who became ruler of Egypt and founder of both the Ptolemaic Kingdom and the Ptolemaic Dynasty. In 305/4 BC he demanded the title of pharaoh. His mother was Arsinoe of Macedon, and, while his father is unknown, ancient sources variously describe him either as the son of Lagus, a Macedonian nobleman, or as an illegitimate son of Philip II of Macedon, but it is possible that this is a later myth fabricated to glorify the Ptolemaic Dynasty. Ptolemy was one of Alexander's most trusted generals, and was among the seven somatophylakes attached to his person. He was a few years older than Alexander, and had been his intimate friend since childhood. He was succeeded by his son Ptolemy II Philadelphus.